ATTENTION: Please note– We close at 1 pm the day before tournaments to set targets. 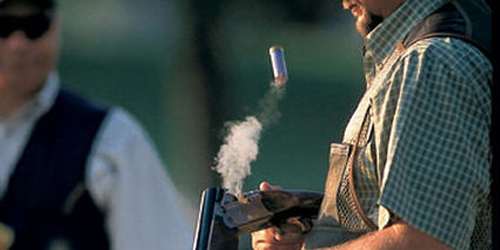 Cedar Creek Sporting Clays is open to the public and to our members. Bring the family and enjoy! All three of our 100 bird courses are completely wireless. The Main Course winds its way through 75 acres of pinelands and open fields with two different target presentations at each of our 15 stations. We've got 15 more stations on the Woods Course. 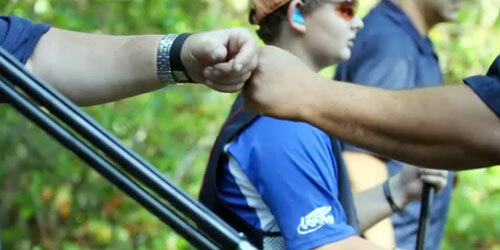 All courses are set up with the Long Range Wireless System so you can shoot solo or with a group. On the Main Course, Blue cages are set for the intermediate shooter, while Red cages are set for shooters looking for "tournament type" targets who want some serious practice. 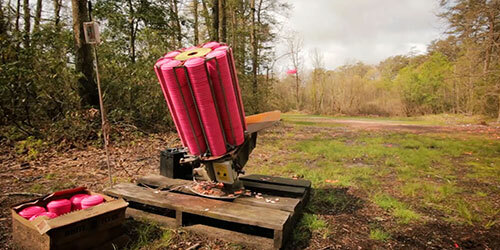 The Woods Course is a friendlier sporting clays course for the novice to intermediate level. It's a great place to practice with the family, bring the boys out for a bachelor party, or warm up for hunting season. Targets are changed every other week. Golf carts are available for rental. 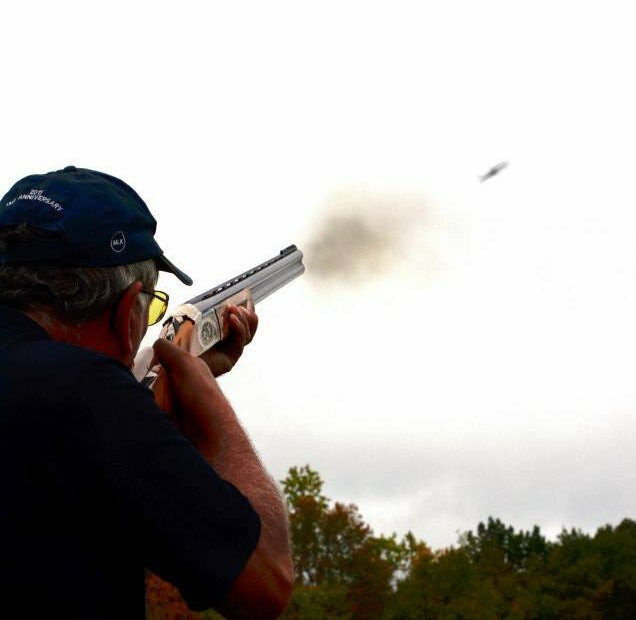 Come sporting clays shooting in South Jersey and try our 3 unique courses at Cedar Creek. Check out our 2019 Tournament Schedule! Click here & automatically get a 15% discount off of the best available rate at Hampton Inn & Suites Vineland, Holiday Inn Express Vineland, Wingate by Wyndham Vineland or Days Inn Vineland.